True confession: Hider Roser has been part of my landscape for a little while. The last review I wrote contained Lacanian theory, which definitely doesn’t do the book justice, but was part of my landscape at the time I first decided to review Hider Roser. Yet, the poems continue to linger. And I think there’s so much more to this book than I had said before. If I were, as a critic, or even simply as a reader who loves to read books of poems, write about Hider Roser again, I would talk about it in terms of what Mirov writes as “sadness is a kind of purity,” and there is much of that here, and so I am going to talk about it a little bit, and I hope you will take this review in conjunction with my other one, but I hope you will preference this review above all. In “From the Corner of My Bathysphere I Write to You of Love,” we have a different theme, that goes along with a worldly night, but that finds some sort of commonality of creatures there: “At the darkest parts of the ocean / there are creatures just like us,” Mirov writes, as he meditates (and this is a very meditative book) on the nature of Chinese poetry, and also of a charred guitar of a heart, which is, in many ways, what a heart feels like, when it’s felt. Later, in “In the Mist an Eye Is Born,” Mirov writes that “we have a tool to pry the bullets from the manuscript,” which lets us in on a soft space in the heart of the manuscript and also lets us know that he is not interested in the type of writing that would be too forthcoming, but that there is a soft surrealism that can play with the edges of the sad purity that this book lets us in on. There are twists and turns throughout, and there are poems such as “Dedication,” which tell us that “I can see your wolf / in the bathroom mirror”; Mirov then goes on to describe the way the wolf appears, this interior wolflike quality that perhaps makes a person tough, but with which he is able to commiserate easily, and someone love despite. We have throughout the book a sense of what it would be like to start out much as Edmond Jabès would, and in “The Book of Emptiness Has No Words and Chapters But One,” we learn about a character named Janice, and we also learn about the emptiness of the pages in this book, which speak of a sort of purity that can’t be held by the way the world is, but want to be, so much. A later poem, “Comprehension Test,” lets us in on the secrets of a story about a dead dog, and there is a sense in which a series of questions shows both how the world is constructed as an exam of sorts, yet slyly subverts this quest for knowledge (and there are other references to education in the book) by playing with the type of “comprehension test” that one might be given. Brilliant. In “Quiver is Empty,” Mirov writes that “[m]any people have been killed / by pistols as they held quivers / which said nothing.” This lets us in on a Cageian truth, that poetry (people) variously have nothing to say, but that they make sense of things by continuing—in true Beckettian fashion—to repeat a failed gesture by either holding silent or by dodging the bullets that they may perceive as coming their way(s). Mirov writes later in the same poem: “Dear Quiver, Can you tell me // who I am? Send my signal / through the darkness.” There’s a sense in which the speaker in these poems—can we assume it’s the author? do we dare?—is questing in a way that is historically situated in our time, exactly. 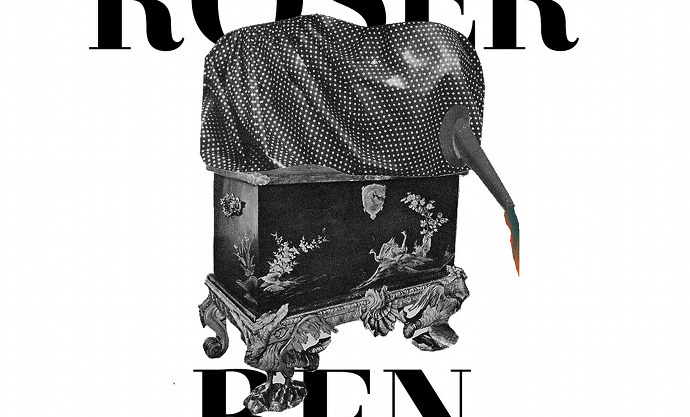 Hider roser, the author’s nom de plume, which variously translates as Horse rider, is a person, variously composed of Pessoan references (love it!) and yet in pursuit, by inversion, of sadness as a kind of purity. This sadness, as it remains true to so many of our lives, with its soft surreal images and common themes of metaphorical genius, is what makes the book stand out, outside of any theory about it (sorry!) except for a theory of poetry that is coming to know itself as vibrant. Whether or not this shine will ever take hold is what leaves us hanging as readers. There’s a sense in which the wizened speaker of these poems is smart enough to see that there isn’t a place for shine, that it’s outmoded. And that makes the poems lovable as testimonies to a way to stay pure through the bleaker moments. Hider Roser is available from Octopus Books and Small Press Distribution.